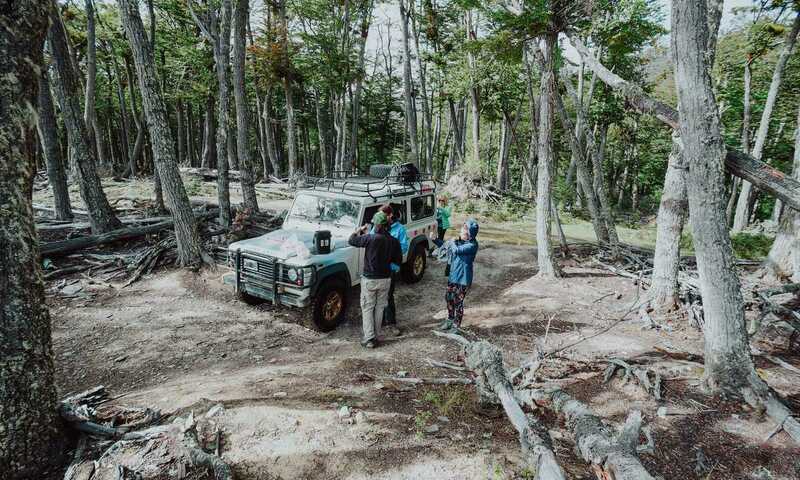 Explore the wilderness of Tierra del Fuego in a 4x4 Land Rover and canoe on the tranquil Lago Escondido. Hike in the National Park and sail to Les Eclaireurs Lighthouse on the Beagle Channel. Your private transfer will collect you from the airport or bus station and take you to your hotel. After settling in, enjoy a leisurely afternoon exploring Ushuaia. Don't miss the Maritime Museum and Galeria Tematica dedicated to the history of the indigenous peoples of Tierra del Fuego. We take National Route 3 form Ushuaia and stop at a Panoramic Point in the Beagle Channel. Then we get to Tierra del Fuego National Park and begin our trek to Acigami Lake, Green Lake and Ensenada Bay. 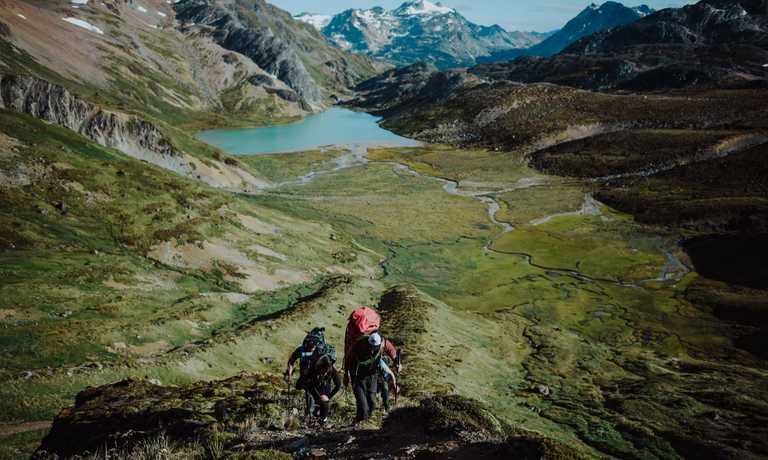 We will walk for around 7km through forests and to various viewpoints of the Beagle Channel and Lakpataia Bay (woody bay); getting a real feel for the surrounding mountain ranges and learning about this fascinating landscape through the expertise of guides. Near the Acigami Lake (Lake Roca), we'll stop to refuel with a traditional Argentine lunch. Then, the tour continues! Equipped with our canoes, we head onto the water from Acigami Lake, following the slow flow of the Lapataia and Ovando rivers. 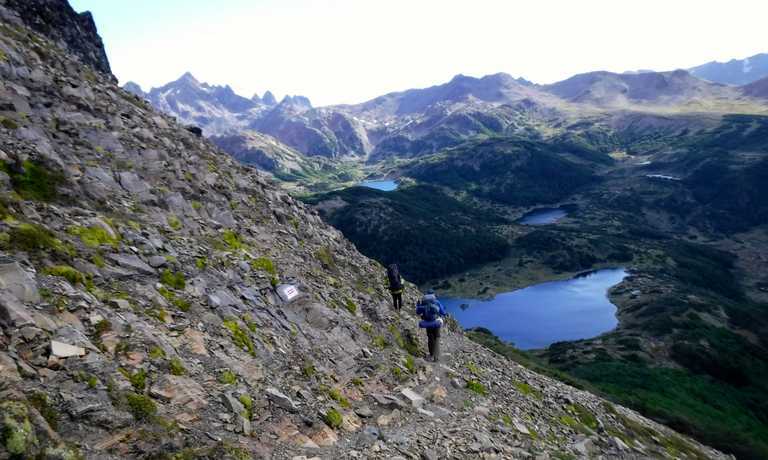 Besides the opportunity to see places inaccessible in any other way, we will get a little closer to the view enjoyed by the Yamana a few centuries back. The experience ends in Lapataia Bay, near the endpoint of National Route 3. From there, we will return to Ushuaia by bus. Uncover the Southern Andes in a thrilling, intense way by heading off-road in 4x4s. The excursion begins by heading to the north of the island through National Route 3, where we see the most popular ski resort in the area, Cerro Castor. We cross the Andes and then start the adventure! We pass huge paths of mud and water reaching the imposing coast of Lake Fagnano. At this point we take a moment to absorb the breathtaking scenery and relax by the lake. After the brief stop, we start forging our own trail into the wilderness, taking the vehicles well and truly off trail. As we enter the forest, we leave the 4x4’s to hike through a secluded area, reaching the Lago Escondido (Hidden Lake) where there’s a small shelter. Ahead of our arrival, the lodge staff will have a cooked a delicious Argentinean style asado (barbecue), accompanied with Malbec wine. The afternoon will offer you time to breathe in the beauty of this area, exploring in a relaxed manner as you discover all of it's wonders. Bring your camera to document the unique view afforded by the location, high up in the Andes. We return to Ushuaia around 5pm. Enjoy a wonderful full day excursion experiencing the best the region can offer for those who arrive in Ushuaia searching for the world's end. Head down the Lasiphashaj River in kayaks to the Beagle Channel and historic Harberton ranch. Look out for abundant birdlife and perhaps sea lions in this area which is rich in wildlife. From Harberton, head by motorboat to Martillo Island, home to hundreds of penguins, offering marvelous photographic opportunities from the boat. Continue to Gable Island and enjoy an al fresco lunch and a hike, crossing over beaver dams and trekking through the lenga forest to reach the Beagle Channel and your bus/boat transfer back to Ushuaia. Begin the last day of the trip with a sailing excursion on the Beagle Channel. Setting off from Ushuaia Bay, you'll manoeuvre your way through the mountainous surroundings headed towards the iconic Les Eclaireurs lighthouse. Passing by several islands, wonder at the Rock Cormorants among the rocky cliffs, witness fur seals playfully twirl around you, and see Royal and Imperial Cormorants as they shuffle by. The huge Yamana shell deposit, an unmissable feature in both size and distinctiveness, will impress as you stop off at one of the Bridges Isles. Discover the archaeological remains on the island as you walk around it, while taking in the views of the Chilean and Argentinean shores. After the 4 hour trip, you'll arrive back at Ushuaia. From there, you will transfer from your hotel back to the airport or bus station. This trip can run as a group trip, with prices starting from $1,110 per person for a complete group. If you are looking to join a group or you are a solo traveller we will help to form likeminded groups of travellers. Please let us know your travel plans. Departures can be set up on the date of your choice with a minimum of 2 people, from October-April. 3 full day excursions and 1 half day excursion.